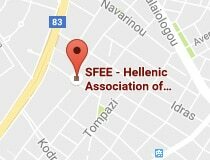 Athens, 23.03.2018 – On 22 March 2018, the Hellenic Association of Pharmaceutical Companies (SFEE), in the context of its Annual General Assembly, organised a working dinner on “Pharmaceuticals: reforms, innovation and development are the active ingredients of the new growth model that the country needs”. The event brought together representatives of the government and international bodies, high-ranking officials of the opposition and of the healthcare sector and, last but not least, Mr. Geoffrey R. Pyatt, US Ambassador to Greece, who delivered opening remarks. 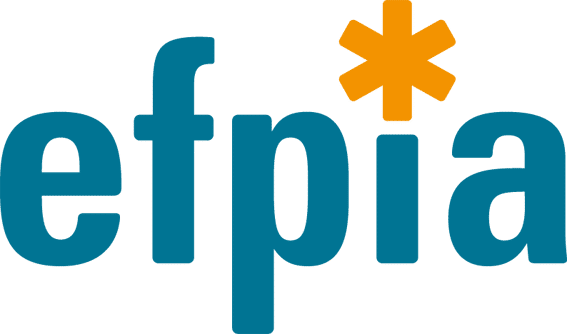 Addresses were also delivered by Ms Nathalie Moll, Director General of the European Federation of Pharmaceutical Industries and Associations (EFPIA), and Ms. Fay Christodoulou, co-founder of Miroculus. The event highlighted the industry’s key role and contribution to the effective functioning of the public healthcare system; .to ensuring the equal and unhindered access of patients to life-changing and life-saving treatments brought about by scientific and technological advances; and to putting the Greek economy on to a sustainable path of growth and progress. The speakers underscored the value of ambitious and investment-friendly reform policies based on innovation, extroversion and a stable business environment as a prerequisite for changing the country’s growth model, turning brain drain into brain gain and ensuring high-quality healthcare provision for Greek patients. Ms. Moll in turn underlined the value of innovation and how it helps people to live longer and better lives. Ms. Christodoulou recalled her personal story, from her first steps in SFEE’s Innovation Project in 2013 to MiroCulus in San Francisco and from 4 staff members to 22, with 7 patents in the US, 4 worldwide and a total of 33 applications. In closing, Ms. Christodoulou noted that, with the appropriate incentives, she would like to bring this initiative to Greece as well. Referring to the recent developments and the climate of misinformation, rumours and even questioning of doctor-patient relations or the value of medical education provided by pharmaceutical companies, Mr. Apostolides stressed that “The industry unanimously condemns any illegal act and expresses its trust in Greek justice and its ability to clear out the allegations as soon as possible”. – that it is absurd to miss the great opportunities opened up by the investment, innovation and competitive dynamics of the industry, which even today remains the country’s third largest exporter. What we need is a predictable business environment, institutionally shielded, with fair taxation, transparency, rules and procedures that ensure a sound and sustainable regulatory framework. With real reforms, new priorities, implementation of therapeutic protocols and patient registers, a meaningful assessment of the clinical and economic value of health technology. Utilising an interdisciplinary approach and, of course, adapting pharmaceutical spending to the real needs of the country and of Greek patients”.